If your store’s traffic comes from tourists, keeping an array of towels stocked is essential to keeping them happy. That’s why Jerry Leigh carries a wide range of wholesale beach towels, wholesale bath sets, wholesale kitchen towels and wholesale kitchen sets. 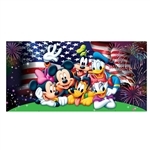 These items are great for vacation or home use and feature popular Disney and Nickelodeon characters like Mickey Mouse, Winnie The Pooh and Spongebob. 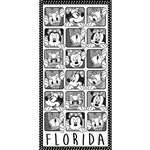 To find wholesale towels for your store shelves, browse our full selection above.